I’ve spent many years working within the prison system, in minimum and maximum security facilities, with adults and juveniles, men and women. I often hear people say that people who commit crimes, particularly serious crimes, should be imprisoned so they can no longer hurt people.What the public often doesn’t realise is that imprisonment itself does not prevent some people from engaging in misconduct, or from committing serious offences.I have conducted the first study in Australia to investigate offences carried out in prison. 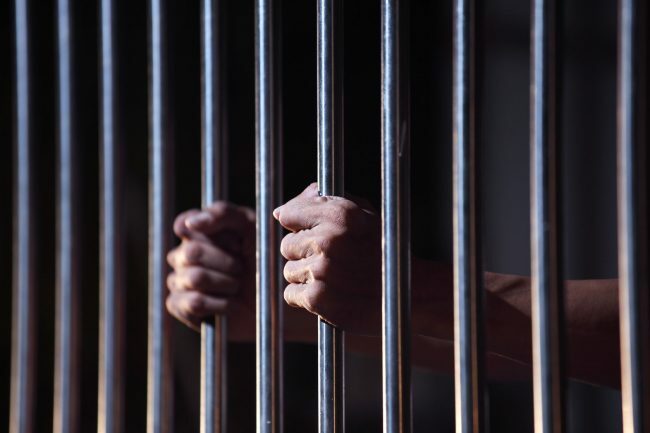 Understanding the prevalence, incidence and type of prison offences that occur in adult prison facilities could help improve the security of prisons, and the safety of staff, prisoners and visitors. I studied the offences of all prisoners imprisoned in Western Australia over a period of 12 months. That included 1959 male prisoners (2014 offences), 125 female prisoners (166 offences), 648 Aboriginal male prisoners (1029 offences), and 1311 non-Aboriginal male prisoners (372 offences). Details of offences were sourced from official databases. The study included only those offences where prisoners were found guilty as charged. The majority of prisoners see out their imprisonment without incident. Of the sample studied, 55% had no prison offences recorded across the study period. But for some, imprisonment is an opportunity to continue their offending ways. A number of those studied occasionally engaged in acts that disrupted the good order, government or security of the prison. Others routinely and consistently violated prison rules. Younger prisoners were found to commit minor offences more often than older prisoners. This finding has also been documented within community settings, where age is one of the strongest factors associated with criminal activity.Researchers in the field of psychology suggest that the gaining of maturity from late adolescence to early adulthood plays a significant role in lowering crime rates as people age. Some researchers have speculated that younger prisoners may have a more difficult time than older prisoners in adjusting to prison life.Others have indicated that young people may commit acts of misconduct in prison to meet a range of emotional needs. That might include getting attention, showing others that they are in charge of their situation, seeking revenge against authority or older people generally, or managing periods of boredom.Young people need specific interventions that focus on the underlying causes of the behaviour, while taking into account their level of maturity. By understanding the reasons behind young people’s propensity to commit offences in a controlled environment, such as a prison or detention centre, specific, tailored and effective responses may be implemented to reduce such offending. While prisoners associated with gangs were found to commit more offences generally, they were no more likely to commit serious offences.This might mean that gang members enlist other prisoners to carry out serious offences within prison. Such offences might involve trafficking or holding drugs on their behalf, and threatening and assaulting other prisoners as acts of reprisal or retaliation. It may also demonstrate that management strategies employed to prevent serious offences from occurring are effective. Strategies include moving prisoners to higher security prisons, more intensive searches, and more stringent monitoring of movements, telephone calls and visits.Aboriginality in itself was found not to be significantly related to the prevalence, incidence or type of prison offences committed, when other factors relating to offending were considered, such as prisoners’ age, offence type, security rating and number of years left to release.Aboriginal prisoners represent 38% of the total prison population in Western Australia, and 28% of the national prisoner population. The findings are therefore generalised to other Australian prisoner populations, particularly where there is an over-representation of Aboriginal prisoners. Prison offences have financial implications for prison systems, governments and taxpayers in terms of compensation for injured prison staff, prisoners and visitors, as well as the cost of repairing damage caused by prisoners.Major disturbances such as the Greenough Prison riot in October 2018 reportedly cost $2.4 million. The Banksia Hill riot in 2013 reportedly cost around $1.5 million.Prisoners who are unable to achieve parole due to their behaviour in prison can also result in costs to the taxpayer. 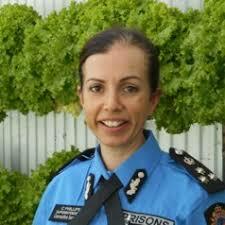 The average cost of one prisoner in Australia’s prisons is almost $300 per day. Every extra day served is a substantial cost to society.